Carnival Destiny is now Carnival Sunshine. Some things have changed. Carnival Destiny cruise reviews are many and varied. 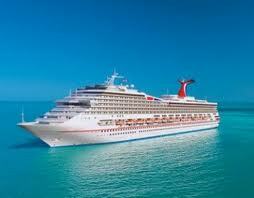 This is so because so many people have sailed with Destiny, one of the more popular Carnival ships. 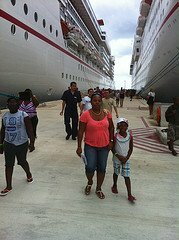 My family had the great of opportunity of taking a Carnival Destiny cruise in July 2011. And, of our four Carnival Caribbean cruises to date, we believe that our cruise with Carnival Destiny was the best. Has your family experienced a Carnival Destiny cruise? This page is dedicated to you and many others who have experienced one of these popular Caribbean cruise itineraries. We want you to share your Carnival Destiny reviews. Go ahead and start writing your family cruise review below. Remember Your Carnival Destiny Cruise? So, when did you sail with Carnival Destiny? Was it as good for you as it was for us? Or, was your experience worse than other cruises you have had? Whatever your experience, please share it! Upload some pictures to show off your experience.